Ciceroniana On Lineinvites submissions for contributions to the third volume to appear in 2019 – volume III, 1, 2019 of the new series. Ciceroniana On Line is a peer-reviewed journal (ISSN 2532-5353, http://www.ojs.unito.it/index.php/COL),listed on the DOAJ. Ciceroniana On Lineappears every six months and is published by the International Society of Cicero’s Friends (SIAC), together with the Centre for Ciceronian Studies in Rome (CSC). The journal is under the direction of Prof. Carlos Lévy and an academic board of seventeen international scholars. In line with its international reach, Ciceroniana On Line publishes articles in Italian, French, German, Spanish and English. Ciceroniana On Linecontinues the work started by Ciceroniana (ISSN 0009-6687), which until 2009 published in print the proceedings of the CSC’s international colloquia. These proceedings are now available on the journal’s website. 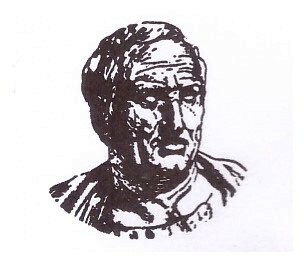 The present CfP invites original contributions on any aspect of Cicero’s life and corpus, and more generally on the intellectual history of Rome. The call is open to any discipline and methodology, including, but not limited, to philology, linguistics, literary history, exegesis, rhetoric, Quellenforschung, philosophy, archaeology, art history, prosopography, religion, psychology, intertextual studies, literary genre, gender studies, anthropology, Fortleben, didactic, new media and digital classics. Deadline for submissions to 2019’s third volume is the 15th of January 2019. After this date, the reviewers will begin the selection process. Prospective articles should be sent in .pdf and .doc format to committee1@tulliana.eu by the deadline. Contributors must log into the Ciceroniana On Line website, creating a profile as “readers”, and follow the editorial guidelines. These can also be found on the website, http://www.ojs.unito.it/index.php/COL/about/submissions#authorGuidelines. Articles for publication will be selected no later than March 2019. The volume will be published in May 2019. Prof. Carmen Codoñer, University of Salamanca, Spain; Prof. Mario De Nonno, University of Rome TRE, Italy; Prof. Catharine Edwards, University of London, UK; Prof. Paolo Fedeli, University of Bari “Aldo Moro”, Italy; Prof. Matthew Fox, University of Glasgow, UK; Prof. Leopoldo Gamberale, University of Rome La Sapienza, Italy; Prof. Giovanna Garbarino, University of Turin; Prof. Margaret Graver, Dartmouth College, USA; Prof. Charles Guérin, University of Paris East & Institut universitaire de France, France; Prof. Gesine Manuwald, University College London, UK; Prof. Giancarlo Mazzoli, Università of Pavia, Italy; Prof. Rita Pierini, University of Florence, Italy; Prof. François Prost, University of Paris Sorbonne, France; Prof. John T. Ramsey, University of Illinois at Chicago, USA; Prof. Hiroyuki Takahashi, Kyoto University, Japan.